What a fantastic weekend we had at the Quintessentially Weddings Atelier! We met so many lovely brides and their families and we were lucky enough to mingle with some truly inspiring people from the wedding industry. 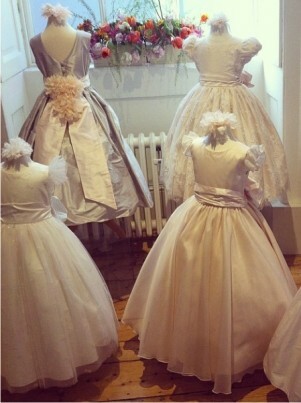 Our flower girl dresses really looked at home in the stunning Somerset House as well! We look forward to the next one! This entry was posted in Events & Shows, Product Spotlight. Bookmark the permalink.